The Walter Segal self build approach to construction is uniquely organised so that anyone who can use basic tools such as a saw, hammer, drill/driver, tape measure, etc. can build a house. There are even one or two cases of single parent mothers, who have had only basic training in woodworking skills, building their own houses. It’s not quite Lego, but probably as close as you can get using standard building materials. This can create large savings in construction costs. No wet trades are used (like bricklaying and plastering) – skills which are difficult to acquire. It is a stripped down system of construction with a highly minimalist and rationalist approach. It has proved very adaptable in terms of upgrading to high insulation values and handled properly could probably achieve PassivhausSee more on the Passivhaus standard. The PassivHaus Institute has pioneered a standard for low energy buildings. It includes very low energy usage and ways of achieving this. The word is derived from the idea of buildings which are fundamentally low energy and passive solar heated rather than using extra gadgets to heat them. See Passivhaus for the UK branch of the organisation. or Zero carbonbit of a slippery fish. It tends to mean that a building uses no carbon (oil, coal, etc) to heat it (meaning in a 'net' way). It usually ignores the carbon which goes into building it (the embodied energy). See the page on Zero Carbon? standard. However, this can be seen as quite a challenge, as is the case with many types of construction which involve sealing multiple sets of construction joints to achieve air tightnessA measure of how leaky a building is to air. In other words, how draughty it might be. There are now standard fan pressure tests to check how air tight a house is and the Building Regulations have minimum standards for all new houses (L1A – Conservation of fuel and power in new dwellings (England)). 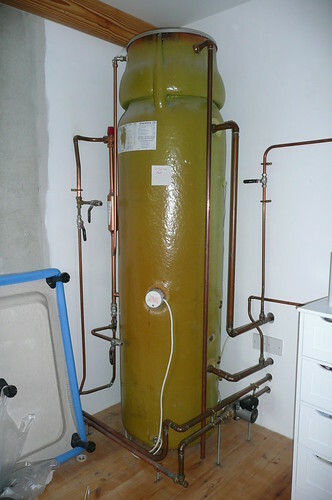 A much higher degree of air tightness is covered by the Passivhaus standard. It is a bolt-together, post and beamSubstantial, usually horizontal structural member. form of timber frame construction which relies on using all the materials in their standard sizes, as they are delivered, so there is almost no cutting or waste. The foundations are point blocks of concrete, usually 600 x 600 wide, (depth depending on soil conditions) so less concrete is used than in strip foundations. There is no oversite concrete used so this cuts down on embodied energythe total amount of energy it takes to make a material (or a building). See more on embodied energy. Originally intended to be single storey[for the purposes of part B (fire) of the Approved Documents to the Building Regulations] this includes - (a) any gallery[for the purposes of part B of the Approved Documents] - A raised area or platform around the sides or at the back of a room which provides extra space. if its area is more than half that of the space into which it projects; and (b) a roof, unless it is accessible only for maintenance and repair. construction, it has proved to work well up to three storeys (although this is pushing things a bit and requires a large input by a structural engineer) – see Allerton Park. Although the system is basically simple and very flexible it still requires that full sets of drawings and structural calculations are supplied to Building Control and these will normally be prepared by an architect or architectural technologist and a structural engineer. A frequent request on this web site is for construction details of the Segal system and we hope to publish these shortly. Requests on the contact form below will speed this up. You can see the basics of the system on Dominic Stevens web site. Bear in mind that it is a construction system rather than a set of house designs. It is very flexible and you still need to design the house. As energy standards are tightened up it may well prove impracticable to design in the amount of air tightness necessary to achieve zero carbon or Passivhaus standards although insulation itself should not be a problem. However there are developments afoot to produce kit houses to the new standards. See below. There are also many individual houses which have been built to the same principles. A good example is Ken and Sylvia’s house at Lampeter Velfrey near Whitland in Pembrokshire. Ken runs Water Margins, an aquatic plant nursery and next to the business they have built a single storey house. The form is almost square in plan and the South elevation has a long glazed sun room which helps with heating the house. The structural timber posts are all 100mm square rather than the 200 x 50 which is more common with the Segal system. You can just make out the 600 x 600 concrete pads which the posts stand on. The outside wall cladding is Minerit and the inside lining is Fermacell. There is 200 mm insulation all round using wood wool and polystyrene. The level of insulation, along with the open plan layout of the rooms, has meant that the central wood burning stove has proved sufficient to heat the whole house without a central heating system.The roof membrane is neoprene. Some recent improvement work on the house has included a 180 litre thermal store at the rear of the stove to capture spare heat and they are planning to install a thermal solar collector on the roof which will also feed into the store. An up-and-coming new development is Rural Urban Synthesis Society, a Community Land Trust scheme of 30 new, high quality, sustainable homes in Lewisham, to be based on the Segal system. There are now quite a lot of examples of Segal buildings being taken down, moved and built elsewhere which show the re-usability of the system. Architype architects were the designers of the Brighton Hedgehog project and are a ground breaking ecological design company! See their ‘Community Self-Build Projects: Hedgehog and Diggers‘ page for the ‘Diggers’ project and ‘Hedgehog’. Note that compartmentationa term used in the Building Regulations to denote fire resistance between two parts of a building (such as a compartment wall or compartment floor) or between one building and another (for instance a party wall), can be achieved using timber frame construction clad in plasterboard or a similar none combustible material. Also sound insulation between party walls is no problem. Does anyone know if any mortgage lenders will consider Segal properties as suitable security please? I am trying to arrange a re-mortgage for a client who lives in one but I am struggling to find a lender. Would really love to do this in Australia – where can we find plans/something to take to an architect? Please could I have construction details too? I too would love to see more details about the actual construction methods used for Segal buildings, there is a complete lack of detailed information about this on the internet & it seems the only book available is the out of print “Out of the Woods” – we could really do with some more up-to-date & comprehensive info! It would also be helpful if someone could compile a list of “Segal-friendly” architects for those of us planning a build – it seems the only practice well known for designing Segal houses is Architype, but surely there must be more out there? Great idea, but more info on construction method/plans needed. Please may I have as much info as possible on design, construction methodology etc when available? Having just seen the Grand Designs program on these houses in Brighton, I would love to know of other building coops for these houses and also would love to find out how to get plans to build one should the plans become available. Watching grand designs on the Segal self- build system. How can one obtain suitable designs for use? Hi, another one who would love to added to list for plans and construction details for the Segal style house, thank you. Having seen the Grand Design episode featuring the Segal construction method I would be interested to get more information about the ‘How to’ behind these lovely homes. Just finished watching Grand Design Revisted featuring the Brighton build. Am very interested in finding our more for my parents as they are pensioners with a plot/land near the sea that needs a house built on it for as little money as possible but that is warm and comfortable for them. I’m from South Africa so would like to see how this can be adapted in our environment. Please send me more information as possible, it would be greatly appreciated. Hi, seriously thinking about using this method to build a house on my parents land and then move it when I can afford land of my own. Could you send me the plans for Segal method or point me in the right direction? Thanks. My family and I are considering a self build on a pocket of woodland in Scotland. 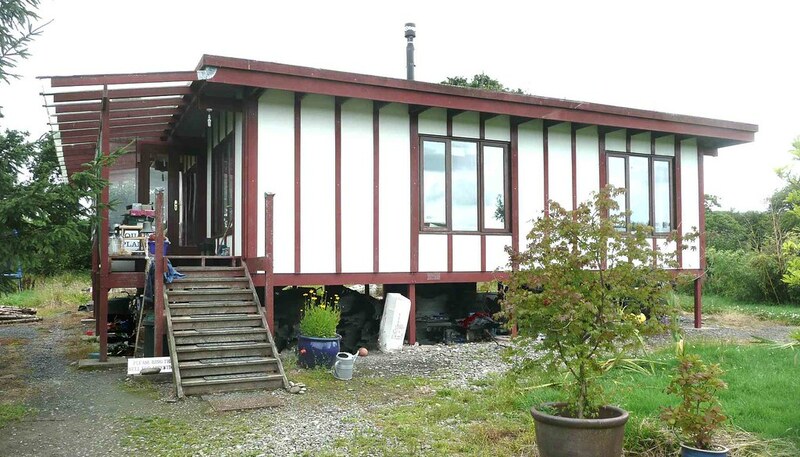 I am very much in favour of the Segal Self Build method and would dearly like to obtain a set of plans please? Can you tell me where to get a basic Segal plan and is there an Ausralian group. I’d be very interested in the plans and the co-op model used for affordable housing in Tassie (Australia). I recently watched Grand Designs and we are very interested in setting up a similar co-op / community to the one at Brighton with some friends. Please send any information re plans / materials etc. Save this recently on Grand Designs and looks like a very interesting build method, especially for steeper ground. Would also work great as a beach house in Australia and love the idea of being able to move internal walls to suit. Very interested in basic plans outlining construction methodology. Dominic Stevens built a lovely simple house using these methods. Want to build a garden room along Segal lines, any experience of this out there? Can you please send me construction details and plans for the Segal system? Am really interested in sustainable self building. I saw the Hedgehog project on Grand Designs and would love to have a go at a Segal house. Look forward to further publications from you. We are interested in building our own home. Would like to know more about Segalselfbuild method. We live in Greenough Western Australia. Very inspiring I too would love to see some plans here in NZ. am also so inspired by the interesting works of Segal and his encouraging an eco-friendly/green philosophy. I would also love to have access to construction plans and details of the Seagal system befitting to Northland in New Zealand. My wife and I are New Zealanders. We have been investigating building a house our family would be happy to stay in. We are in our 50’s and earn above average incomes (for New Zealand). There are a lot of undesireable aspects to NZ housing. If it’s old then it won’t be insulated (20+ years), if it’s new it’ll be very expensive to buy ($400,000+) or build ($400,000+ for 3bedroom ,two bathroom) and that is just for the house if you leave it to a builder/project manager. That is also without the land which would cost $80,000+. We also have a problem with leaky buildings (new builds, a nightmare for some as nobody wants to take responsibility for it)My wife and I think it’s outrageous! We don’t want to retire(we hate that word, like to think we’ll keep on working or do community projects, have no desire to end up in a retirement home). We hope to see plans released as this would be a very desireable solution globally for solving housing issues for all manner of people. I live in Christchurch New Zealand , our recent earthquakes have resulted in many challenges for Christchurch people , one of the most difficult to meet is affordable housing. I see the work of Walter Segal as being part of a solution both in a self build way and as a factory manufacture fast on site assembly solution. New Zealand grows a lot of softwood [Radiata Pine] that is treated for house contruction. I’d like to find out more about Walter Segal housing…planning permission…am looking for a plot of land too. I would love to build my dream home at the top of the garden and this method will make it possible for me so please can I have the plans also? I recycled a former college porta kabin classroom into a 850 sq ft 2 bed house in the style of walter.I even named a rescue seagull ‘Walter’ seagull in his honour. Would love to have the plans please thinking of straw infill with lime plaster for the exterior walls..
Could you please send me plans and construction details on the segal houses. Count me in as another interested reader. It seems tragic that such a democratic building system might be lost we’re still dependent on architects to produce the technical drawings. Wouldn’t it be great if self builders could download plans, details and step by step instructions to design their own Segal system house? Am very interested in the Segal system and have been for a while, mainly for speed of build and small budget and only my wife and myself will be building it. I would love t get my hands on some pans please! I’d really appreciate some kind of advice on the segal system. I’ve scoured the web for good resources but I’m yet to find anything comprehensive. Can you please send me any construction details and plans for the Segal system or info on where to find them, thanks. No local new housing, no local affordable housing daughter and new husband saving hard chasing a minimum deposit, so what if I build in my large garden, Segal house looks an attractive alternative, any comments? I am intersted in building a garden workshop using the Walter Segal principle (approx 15ft x 10ft) and would be interested in any comments or if anyone has done this. Could I build onto 4×2 levelled paving slabs instead of concrete pads? Also the floor needs to be strong enough to support a heavy motorcycle plus workbench tool cabinet etc. Can you please send me construction details and plans for the Segal system. Can I have plans for the Segal house please. Where can I find designs/ plans for the walter segal houses? As far as I know, all the tenants are still in the houses. As one of them said, “I’d be mad to leave here”. The houses are heated mostly by the Sun and a wood burning stove. Nobody has complained of the cold, they seem to love the place. Pleae can you share with me any Segal builds that have taken place in Scotland as I would like to visit them. I live in NSW Australia and recently saw Grand Designs on Segal Homes. I am very impressed and would like to know where I can get the plans and more information please. please could you advise me if it would be possible to build a segal house for 15 to 20 thousand pounds . As you can see my budget is small although i am a time served carpenter.To see unskilled people build these houses was very impressive and uplifting and also finish with a great home,i know finding some land is another thing,many thanks paul. I recently viewed grand designs,hedgehog co op self build. I was impressed with the relative simplicity of this self build. are out of reach this design would provide an exelent home for my son. Where could i obtain comprehensive plans in order to take this further (for local authority approval. Just wondering has any of the properties built in Brighton ever changed hands since they were build? And Arwe the houses warm in winter.